Teak patio furniture now has an updated look thanks to new sleek designs and added comfort. Manufacturers are also combining teak with other materials, such as wicker, sling, or aluminum. For consumers who desire the classic look of wooden outdoor furniture but want a contemporary twist, here are some beautiful pieces that will turn their backyards into outdoor retreats. 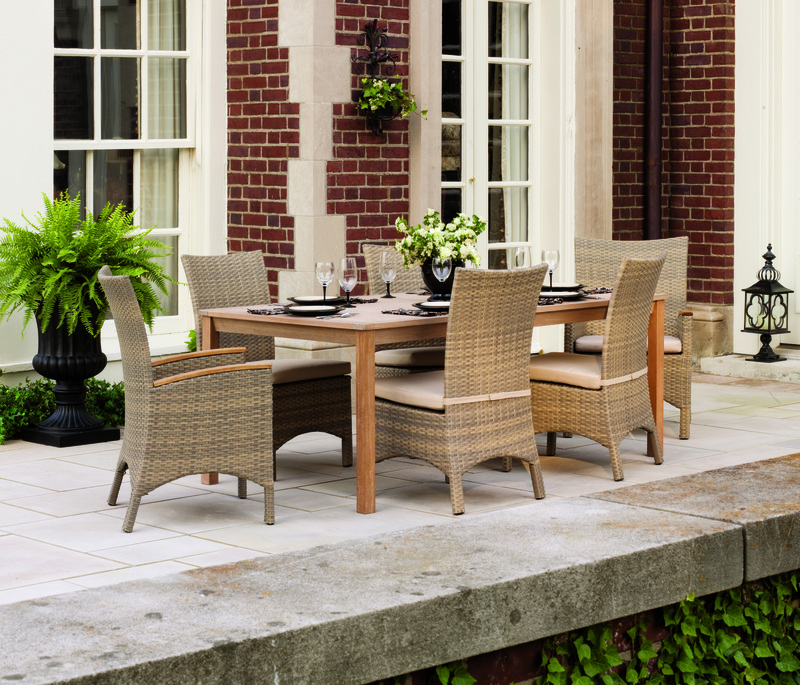 New for 2012, the Torbay Collection is the most recent collection from Oxford Garden that is crafted of all-weather resin wicker and teak. The collection features an armchair and side chair designed to fit all Oxford Garden tables. Known for its affordable luxury, Oxford Garden continues to create classic and timeless outdoor furniture. 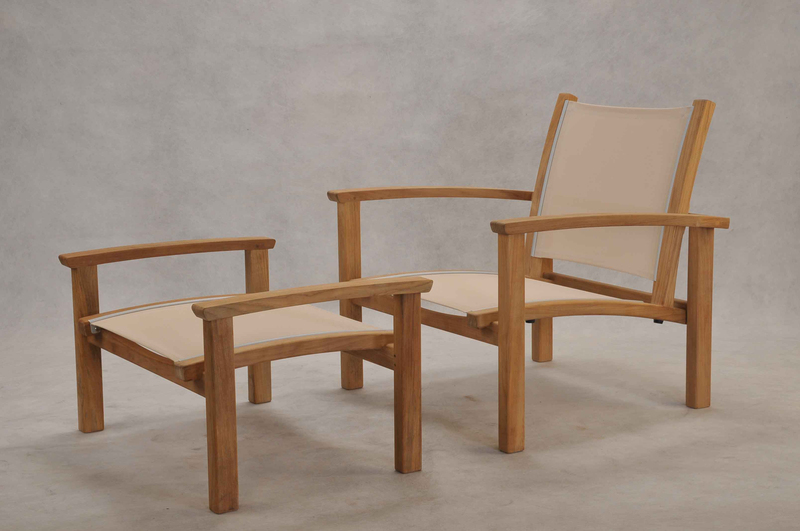 Kingsley-Bate’s St. Tropez Teak Sling Collection is expanding to include a stacking club chair and ottoman. Designed with a solid teak frame, aluminum hardware and durable Phifertex fabric, this set is ideal for comfort, ease and is convenient where storage space is at a premium. The collection is available in cilantro, sand, black and blue fabrics.